As a mother of a 3 year old little girl, a Princess meal is something that is a must do every time we go to Disney. I am a huge fan of any character meal for a couple reasons. First, it allows us to meet the characters and get autographs without waiting in long lines. Second, it makes the meal fun for the kiddo, she is a happy camper and not complaining about sitting down for a meal. And third, in my experience the food is usually very good. There are two restaurants on Disney property where little princesses and knights can meet royalty; they are Cinderella’s Royal Table and Akershus Royal Banquet Hall. We visited Akershus in Epcot’s Norway Pavilion for the first time this trip. We loved it! Overall Experience: Cinderella’s Table is the quintessential Disney dining experience. Who doesn’t want to eat in the Cinderella’s castle? A picture of your party and Cinderella is included in the meal. The food is good; however your 2 points are paying for the experience not the quality of food. Overall Experience: I have read that this is a real hidden gem, and I totally agree. Although you are not in Cinderella’s castle, you feel like you are stepping in to dine with royalty. 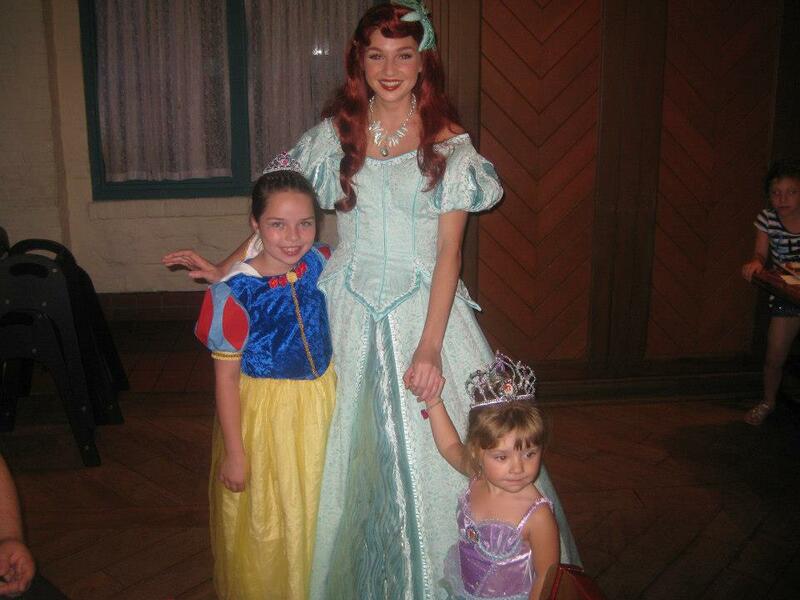 A photo with Belle is included with dinner. The appetizer bar (koldtbord buffet) is to die for. If you have someone that must see a princess, this is the place to be. But if you want a great meal for one dining credit, this fits the bill. If you are using the dining plan to pay for your meals, the choice is obvious. Akershus is hands down the winner, with better food, more princesses and only one dining credit there isn’t even a contest. 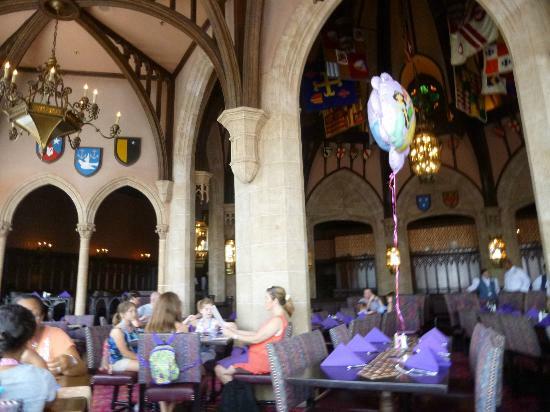 However, if dining in the Magic Kingdom iconic castle is a must, I would suggest is going at breakfast and paying cash. The menu is very good and the prices are much more reasonable. I would NOT use two dining credits at the castle ever. It is not a good investment of your table service credits. That being said if you aren’t stuck on the castle experience, head over to Akershus. Don’t be scared of the Norwegian inspired food, there is stuff on the menu for everyone. If you have a picky eater, go for breakfast OR take a look at the kids menu, they will make an adult size portion. Check out this hidden gem, you will be happy you do. PS: If you don’t know how to pronounce Akershus, don’t worry we don’t either!